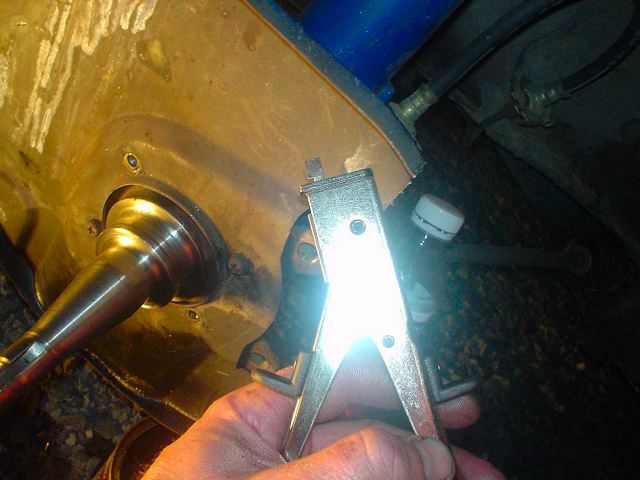 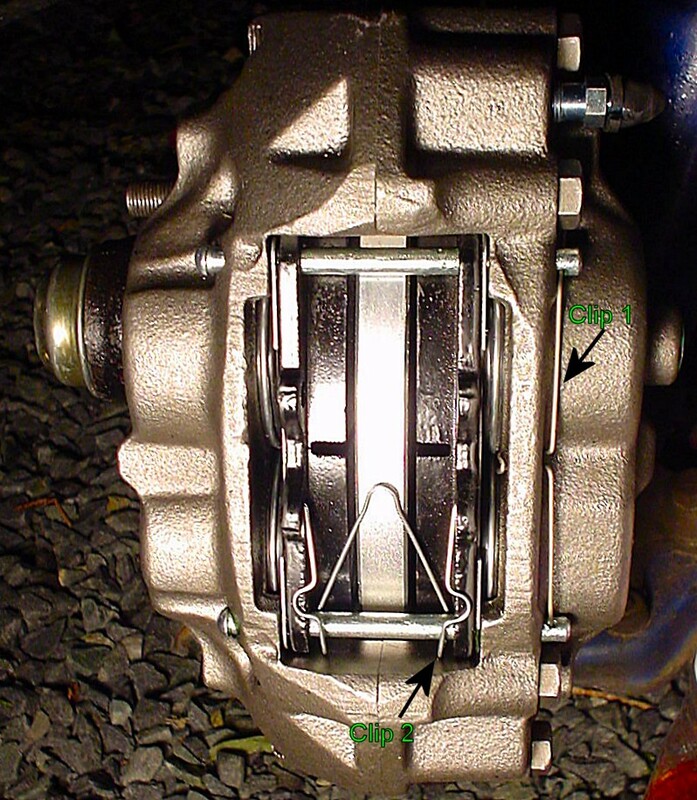 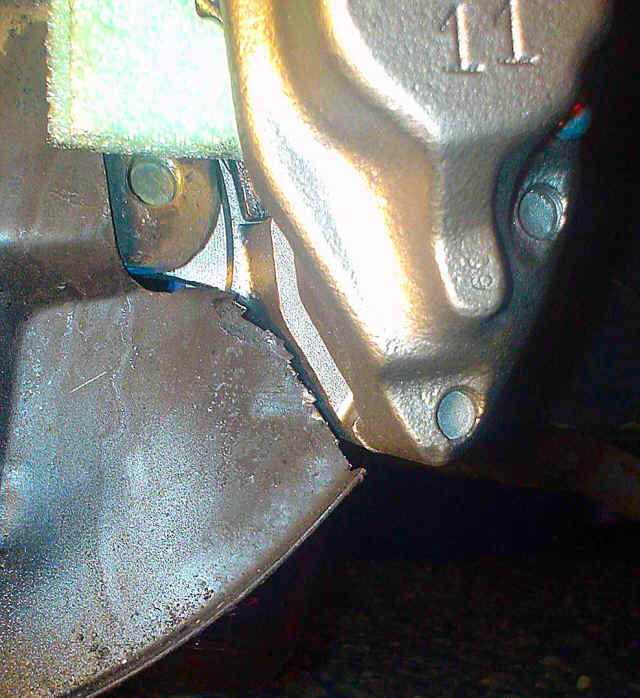 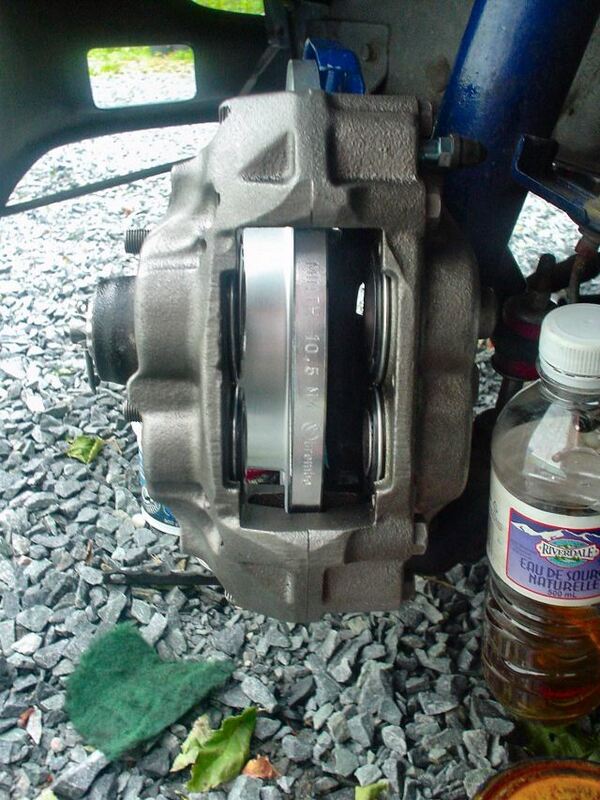 The stock calipers on 70 to 78z's can be upgraded by bolting on Sumitumo S12-8 calipers from early 1980's Toyota 4X4 trucks. 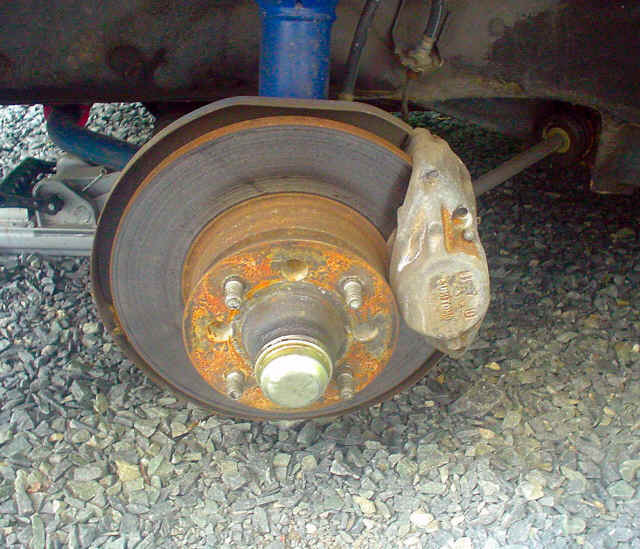 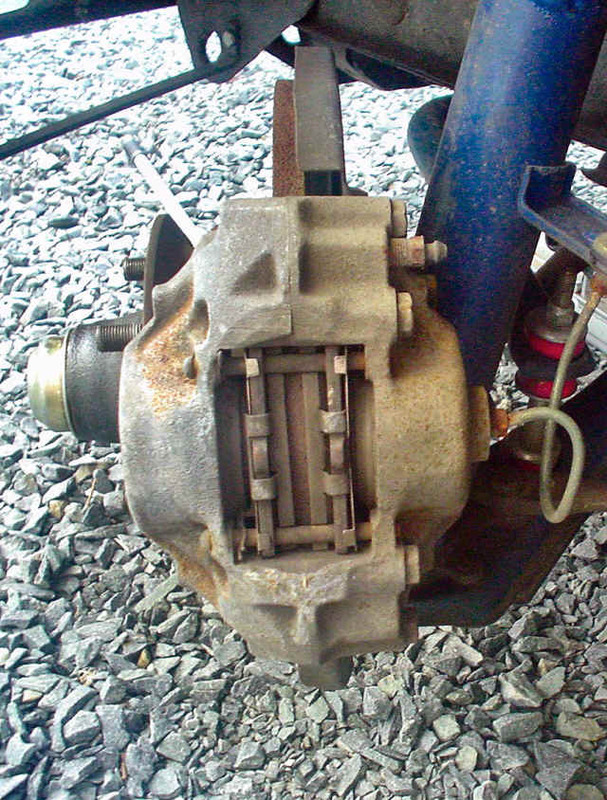 Detail of rods and hanging brake pad. 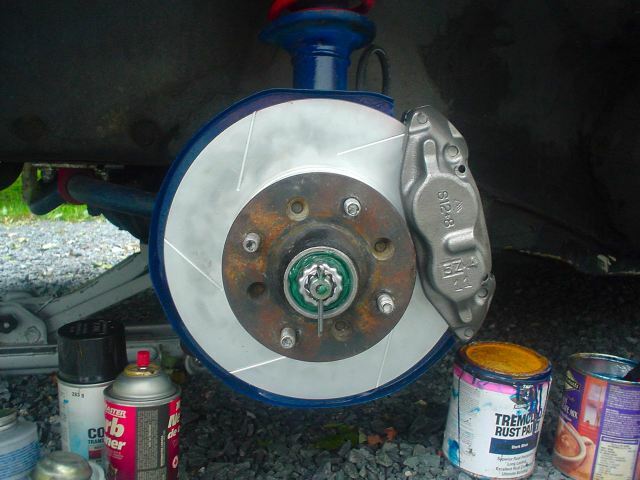 Nibbled dust shield (just needs to be filed smooth and painted).